Park City Farmer’s Market is cruzin’ thru August! Hey Park City Farmer’s Market fans! Meet Julie Malecki, she is at the market on Wednesdays raising awareness to the dangers of drugs and certain vaccines being given to our children. She has a DVD entitled “dead wrong” that she is offering to the local community for anyone that wants to learn more, and you can the movie for free from Julie. New vendors at the market -the Hot Box. Meet the nice ladies from Cheese Bread Mania -gluten free products. Doggies enjoying the market stroll. Canyons Moose spotted in Park City! Tibetan Monks spreading awareness on tour. Flying Penguins and Miners raising money for a good cause! Great prices on fresh local produce. The Goldens enjoying the market stroll. Solar Powered address signs and more. 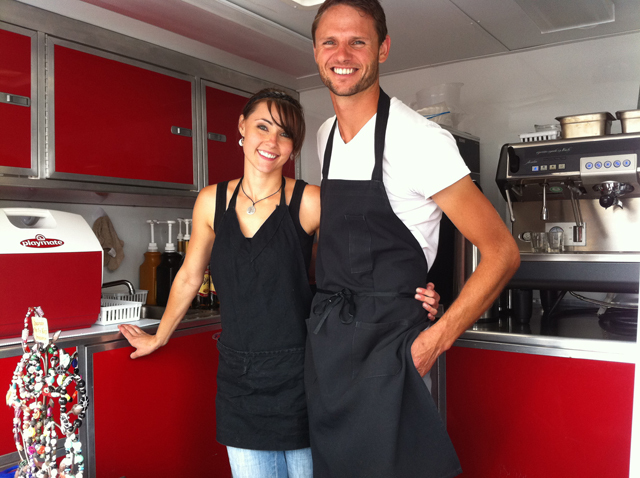 Meet Allison and Andrew from Yee-Haw Pickles. Meet Patric Bates and his cool art. Meet Fred and his cool copper pieces. Check out the cool pieces from South Pacific Island Art. Say hello to Jean and her original tile art. No antibiotic, no hormones, no animal by-products beef is available at the market. Also, all natural hormone free lamb is available at the market. Thank you Park City! Don’t forget to come out today, and stock up on fresh local goodies! Tibetan Monks and Fire Dancers at Park City Farmer’s Market! In addition to LIVE MUSIC, great local vendors, and the freshest UTAH Farmer’s Produce – this week we will also have performing Hula Hoop girls and Fire Dancers! Please do not forget about our ICE CANCER WITH HOCKEY Game at the Park City Ice Arena this Saturday! You can let us know that you are coming here! At tomorrow’s market, you can also purchase a “Together We Ice Cancer” ballcap for $10! One hundred percent of the proceeds will go to the Cancer Fundraiser for Dr. Lisa! Also, the folks from OCTHEORY.ORG will be at the market, they are a 501(C)(3) think-tank organization that help projects for social good get started.